The Steinway Society celebrates its twenty-third anniversary season. We are thrilled to bring to you an outstanding program of internationally celebrated pianists. 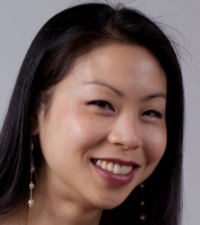 The program features renowned artists including previous scholarship winner Jeannette Fang. Inessa Gleyzerova Shindel received a Master’s Degree in Music from Belorussian Academy of Music, Minsk. Her performances in the United States include solo recitals at Weill Recital Hall at Carnegie Hall, Kosciuszko Foundation Hall, chamber music recitals at Merkin Concert Hall. Harris Goldsmith (New York Concert Review magazine) wrote: “Inessa Gleyzerova is a well equipped pianist and burgeoning musician of potential stature. One awaits her future development with interest.” Ms.Gleyzerova Shindel is a faculty member of Westminster Conservatory as well as one of the artistic directors of the Music-Fest’ Rising Talents Festival. 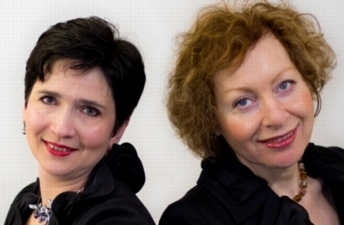 Galina Prilutskaya has performed extensively as a piano soloist, accompanist, and chamber musician throughout the United States, Germany, and Russia, including special appearances in Richardson Auditorium, Moscow Conservatory, and Liszt School of Music. Her students have received numerous awards and acknowledgements of excellence in piano study. Presently, Ms. Prilutskaya is a Master faculty member of Westminster Conservatory in Princeton, NJ. They will perform works by Ravel, Saint-Saens and others. Jeannette Fang returns from winning first prize in our 2000 Steinway Society Scholarship Competition. Since then her creative pianism has been recognized with numerous prizes and awards including first prize in the 20th International Young Artists’ Piano Competition in Washington, D.C. An active presence on the concert stage, Ms. Fang performs regularly in such settings as Alice Tully Hall, John F. Kennedy Center, Zankel Hall, Bargemusic, Peter J. Sharp Theater, Weill Recital Hall, Steinway Hall, Sprague Recital Hall, and many others. She has been a featured performer on the McGraw-Hill Young Artist’s Showcase on WQXR-New York, and on NPR’s “From the Top” broadcast from the Disney Institute in California. She has soloed with numerous orchestras including the New Jersey Philharmonic, Battleground Symphony, and St. Mary’s Chamber Orchestra, and has won concerto competitions resulting in orchestra performances at both Juilliard Pre-College and Manhattan School of Music. She has served as Artist-In-Residence for two years at St. Mary’s Church Concert Series in South Amboy, NJ, and has performed as a guest artist at Boston Conservatory, Jacob’s Pillow Festival, the Watchung Arts Center, as well as others She is the recipient of the Elizabeth J. Parisot award from Yale School of Music, the winner of the Karlfried Nordman Scholarship Piano Competition at Juilliard, and was named a National Presidential Scholar in the Arts in 2003. The program will include the Chopin Op. 28 Preludes, Beethoven, and the Bartok sonata. Rosanne Vita Nahass has been attracting wide audiences with her popular lecture/recitals, featuring rarely heard masterworks. She has been described as “a performer of expressive power and outstanding musical clarity who can introduce audiences to the most complex works through accessible and well-informed pre-concert lectures.” Her program will highlight French and American Impressionist works by Beach, Ravel, Debussy and Griffes. Dr. Nahass received her Fellowship Diploma in music from Trinity College London, BA from Rutgers University, and MD from Robert Wood Johnson Medical School. 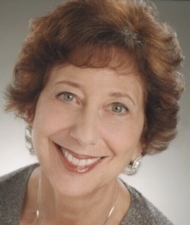 Phyllis Alpert Lehrer is known internationally as a performer, teacher, clinician, author and adjudicator. She has enjoyed an active concert career as a soloist and collaborative artist in the United States, Canada, Europe, Asia, and South America. 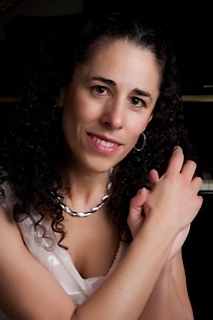 Ms. Lehrer is Professor of Piano and Director of Graduate Piano Pedagogy at Westminster College of Rider University. She is a founding member of Young Audiences of New Jersey and the International Society for the Study of Tension in Performance. She is the author/editor of over two dozen publications. Recent publications include 5 volumes of Classics for the Developing Pianist, with Ingrid Clarfield, and Personal Trainer, an interactive technology workbook for technic, sight playing and theory with Paul Sheftel. She and duo piano partner, Ena Bronstein Barton, have recorded works of Mozart, Rachmaninoff, Laurie Altman and Dianne Goolkasian Rahbee. The program will include Mozart, Rachmaninoff and others. Hailed as “a superb artist whose pianism is a perfect combination of temperament, intellectual understanding, discipline and spontaneity,” internationally renowned pianist and educator Chiu-Ling Lin plays before enthusiastic concertgoers around the world. As the United States Information Agency’s Artistic Ambassador to Latin America, she gave a performance tour of Peru, Argentina, and Brazil. She has also soloed with fourteen orchestras, including the Atlanta Symphony, Chicago Civic Orchestra, Singapore Symphony, Bravura Philharmonic, and Des Moines Symphony, where she is Principal Keyboard Player. 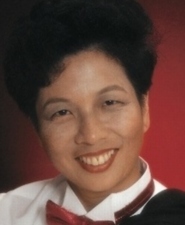 Her program combines a unique mix of music by Chinese and Western composers to audiences in North America, Europe, and throughout the Far East. Her CD, “Portraits of China” features contemporary piano works as well as arrangements of traditional Chinese music. The performance will include pieces by Rachmaninoff, Albeniz, Chopin and Kapustin’s Preludes in Jazz Style. 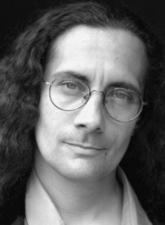 Vince di Mura is a veteran Jazz pianist, composer, arranger and musical director; appearing on concert stages and theatres throughout North America, Canada, and Latin America. He currently serves as the Resident Composer and Musical Director for the Lewis Center of the Arts at Princeton University. Vince is best known for his arrangements of “My Way: A Tribute to the Music of Frank Sinatra Cabaret,” and “I Left My Heart”; A Tribute to Tony Bennett: Licensed by Summerwind Productions; (Over 500 productions nationally.) Vince has fulfilled commissions from Princeton University’s, Rutgers University, Rider University, the University of Colorado, The Scioto Society, Children’s Theatre Company in Minneapolis, Fairleigh Dickinson University, Arkansas Shakespeare Theatre, Passage Theatre, the University of Northern Colorado, and People’s Light and Theatre Company. He holds composition and jazz fellowships from the William Goldman Foundation, Temple University, Meet the Composer, CEPAC, the Union County Foundation, the New Jersey State Council on the Arts, the Pujffin Cultural Forum and the Mid-Atlantic Arts Foundation. No stranger to the recording studio, Vince has 4 CDs out: the 2000 release, “Imperfect Balance,” the 2007 release, “A Darker Shade of Romance,” the 2008 release “For Lost Words, and the 2010 release, “California Sage:” All three are available at CDBABY.COM. as well as a large number of internet outlets. The performance will feature Cole Porter, Irving Berlin, Monk, Mingus, and Richard Rodgers. “Autumn Leaves,” “Sunny,” “I Guess I’ll Hang My Tears Out To Dry,” “Fly Me To The Moon,” and other favorites from CALIFORNIA SAGE, Vince’s 2010 cd release.